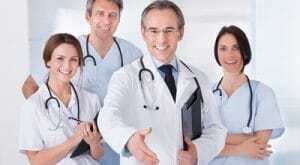 Home / Physician Assistant / What is a Physician Assistant? Choosing a career path is a huge decision that has many consequences. The key to finding the right career is opting for something that you are interested in, will allow for a steady income, and is in growing demand. If the healthcare field appeals to you, but you don’t really have the time or money to become a physician there is an option that is perfect. 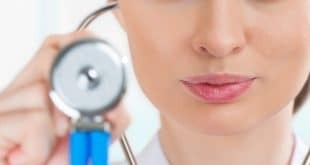 What is a Physician Assistant? Physician’s assistants, commonly referred to as a PA, are able to practice medicine under the supervision of a doctor, but the education requirements can be completed much sooner. According to the Bureau of Labor Statistics, there will be a 30% increase in the number of PA jobs by the year 2020, which is much higher than most other professions. There are specific education and training requirements that must be met, but once they are completed the position is versatile allowing you many different work environments to choose from. Regardless of where you opt to work the salary is enough to take care of yourself and your family comfortably. The following will provide information about all aspects of this field. Becoming a licensed physician’s assistant requires specialized training. In 2012, there were 173 accredited education programs. Prior to applying for a position in one of these programs you must complete a bachelor’s degree and it is preferred that it be in a healthcare related field, though some programs will accept other fields of study. Once you are accepted into a PA program, you can expect at least two years of intensive classroom study and 2,000 hours of clinical training. Upon completion you will obtain a master’s degree, however this does not mean that you can go directly to work. Before you can work as a PA you must become licensed through the National Commission on Certification of Physician’s Assistants (NCCPA.) This requires passing a written exam and after passing you are given the title of Physician’s Assistant- Certified (PA-C.) Continuing education is mandated and your license must be recertified every six years. PA-C’s work with a licensed physician as part of a healthcare team. They are able to complete physical exams, diagnosis and treat illnesses, perform procedures, assist in surgeries, provide patient and family education, and make rounds in hospitals and nursing homes. They are able to practice and prescribe medication in every state in the United States and in Washington DC. Most are employed in hospitals and nursing homes and are expected to take call on certain days meaning they have to be ready to work at any time including nights, weekends, and holidays. Some are employed in doctor’s offices and outpatient clinics as well. In 2010 most PA-Cs were employed full time with an average yearly salary of $86,410 although this greatly fluctuates depending on geographical location, hours you work, and performance. This equals out to $41.54 per hour for a 40 hour work week. The top 10% earned well over $110,000. There is no doubt that it can be difficult to become a PA-C and the work can be very demanding, however it offers many rewards that may make it worthwhile for you. Previous Forensic Psychology Salary: Where Is The Money?